Is there a better alternative to nonpareil? Is nonpareil really the best app in Mathematics category? Will nonpareil work good on macOS 10.13.4? 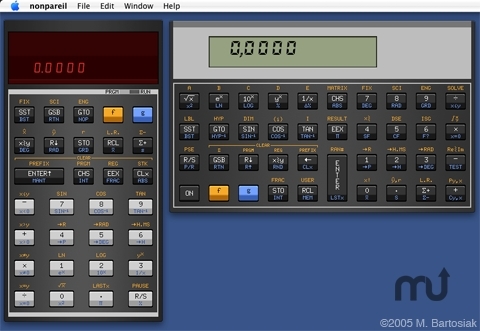 nonpareil is set of applications that simulate some of vintage HP calculators. Version provided for OS X is based on nonpareil 0.77 for Linux - a micro-assembler and simulator package written originally for Linux by Eric Smith. All calculators are able to save state. nonpareil for PowerPC downloads can be found here.